If you like trainers and you like rabbits, you’re going to love this blog post. Minna Parikka decided at the age of 15 that she wanted to design shoes, and her playfulness didn’t leave her when she realised the dream and moved to the UK aged 19 to study footwear design. She’s now based back in her native Helsinki where she produces these super-cute bunny inspired trainers. 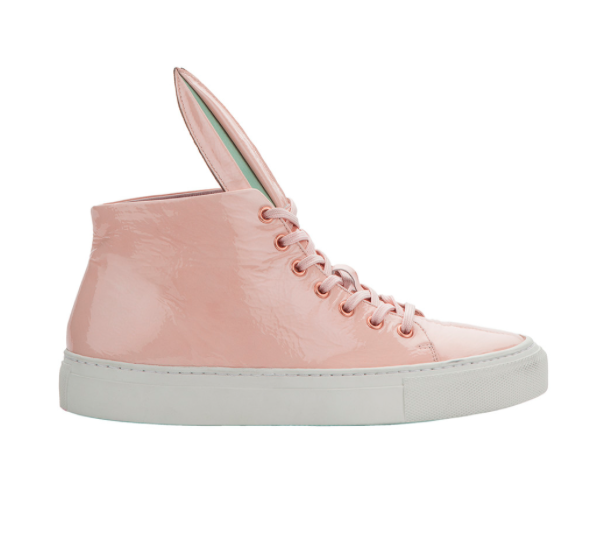 Who’d have thought that trainers with bunny ears would look so NOT weird? Because the ears take the place of the shoe’s tongue though, it works really well. Some of the shoes also come with a fluffy rabbit’s tale (below), and lovely as they are, as a woman approaching the age of 40, I prefer the plainer high tops (above). Minna is a savvy entrepreneur, too. She’s managed to get a whole host of celebs pictured wearing her bunny sneakers and now they’re the hottest thing in footwear. Because in our world of Instagram, what could be better advertising than getting Cara Delevingne or Ella Eyre pictured out and about looking awesome in a pair of your trainers? 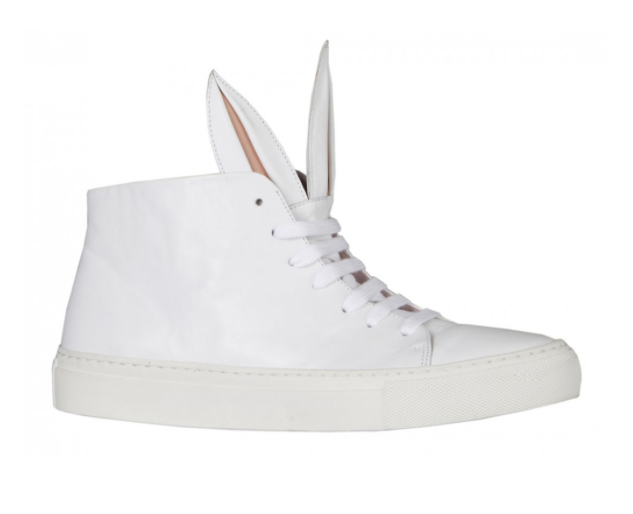 The bunny sneaks as well as a whole host of delightful leather shoes are all available on Minna’s website – and don’t be put off by those Euros – she ships to the UK and the rest of Europe for free.